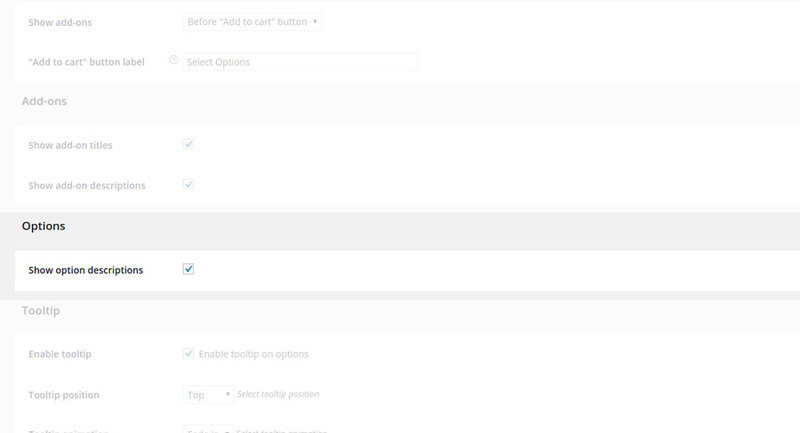 In this page of documentation we will analyze the options included in “General”form of the plugin settings dashboard. 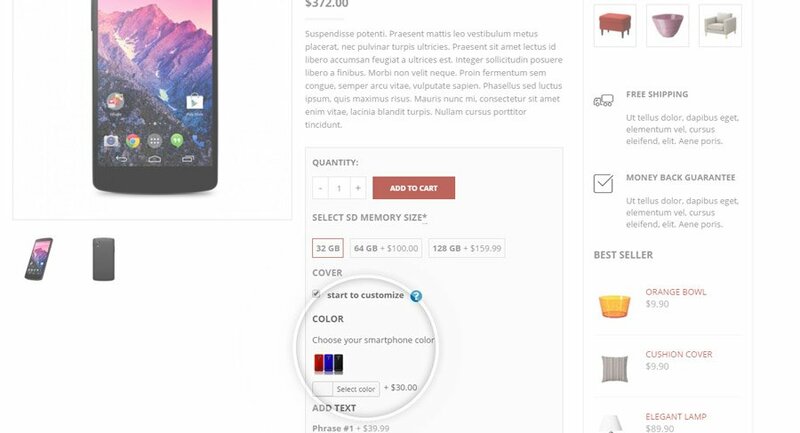 “Show add-ons” option allows to choose the position where to show add-ons within product detail page: before or after “add to cart” button. 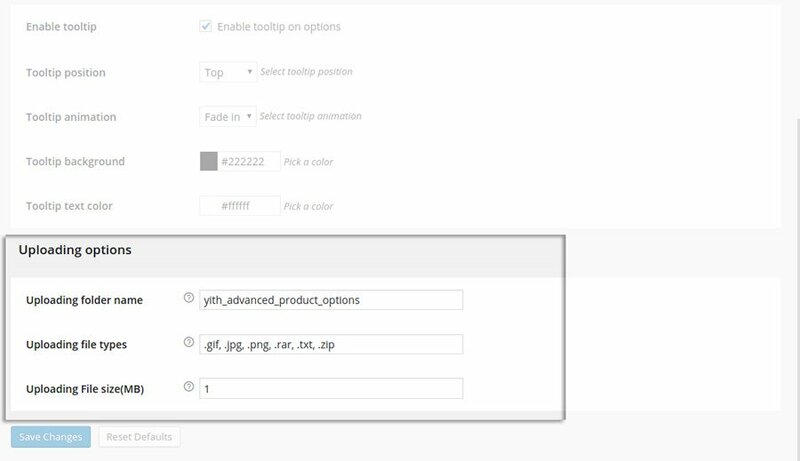 For each add-on created, the plugin allows to combine label and description. 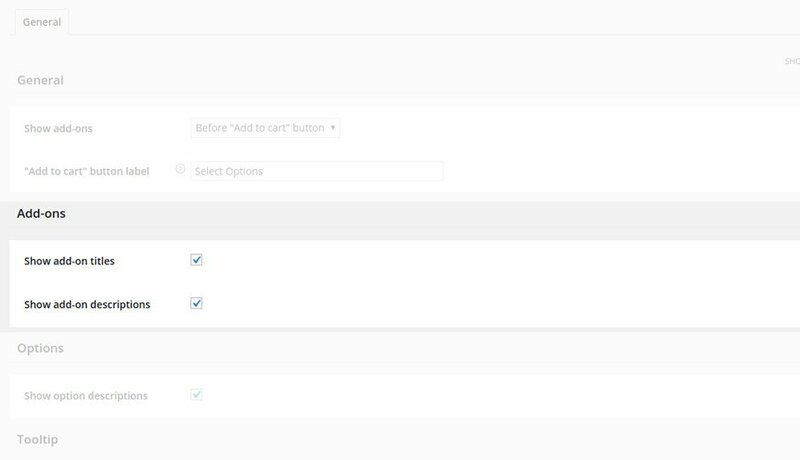 According to its settings, in plugin settings dashboard (in the highlighted options in the image) information will be shown or not in product detail page. 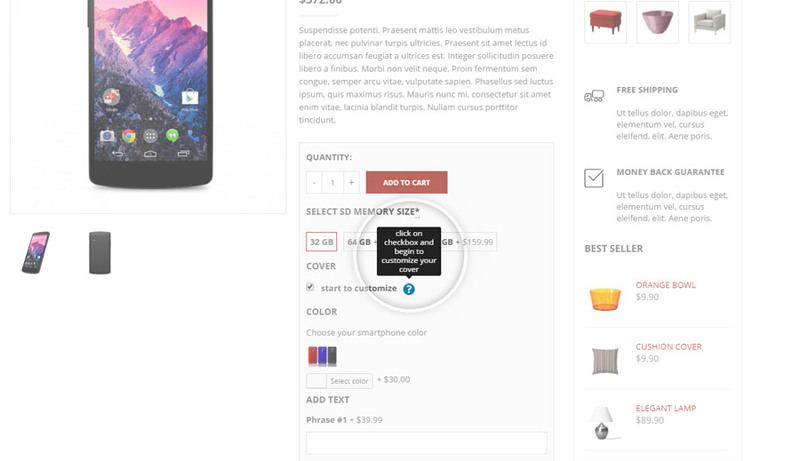 Tooltips are used to show the description related to the option. 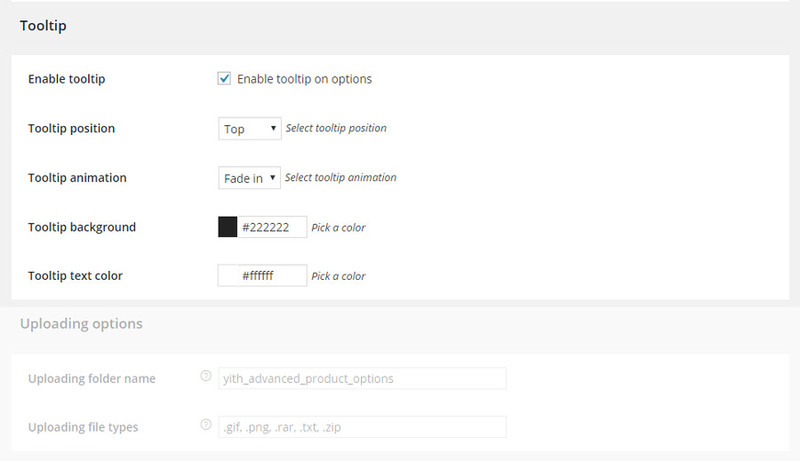 To disable the use of tooltips or to change their layout, use the options you find in the “Tooltip” section of the plugin settings dashboard. 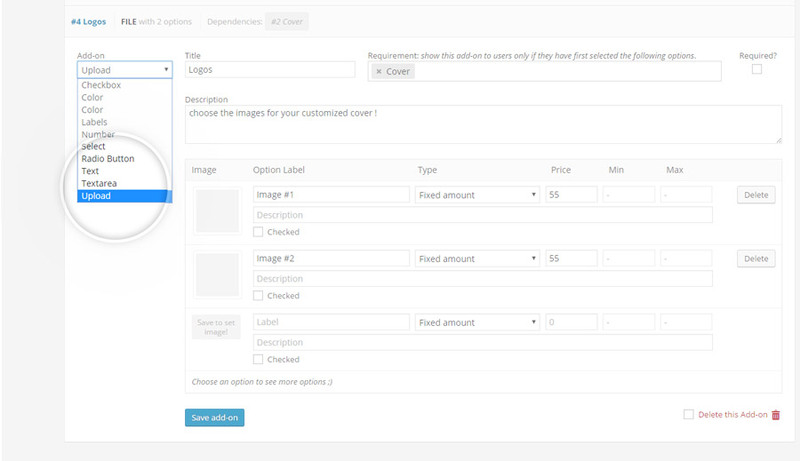 “Upload” section refers to add-ons of “upload” typology. All files uploaded by users will be saved at the path you have specified in “Uploading folder name”, within “uploads” folder. To be accepted, the file must have one of the formats specified in “Uploading file types”.